Life is so fast, full of work and study. Snuggle up with your favorite reading buddy. Meet this adorable tree named Bree. See her learn. See her grow. Enjoy your kids before they go. Have some good times with a few rhymes. The best way to love is to show. In this endearing mother-daughter collaboration, a young tree named Bree learns about the importance of friendship and caring about one another. Bree the Tree loves her beautiful home on top of a cliff by the sea, but she is lonely because she has no family. When she meets new friends Chloe the Cloud and Seth the Sun, Bree feels uplifted. They spend the fall and winter together, and then springtime brings a surprise! Read your little loved ones this charming story about family, friendship, and caring about one another. The story of Bree the Tree is an endearing mother-daughter collaboration you can enjoy with your children over and over again. An amazingly written and illustrated book that is extremely relatable. It highlights the power of friendship and its ability to push you through the tough times in life. Great read for all ages! Read it again …. and again … and again! Inspirational – Heart-warming – and Fun, all tucked into a beautifully illustrated and well-written book for little ones. Reading this book to my 3 granddaughters, I had the joy of watching their faces as Bree the Tree, Chloe the Cloud, and Seth the Sun, all came together to share a beautiful story of friendship and facing life’s adversities. From this charming story, our little ones can easily learn that “together, we can do anything!”. The author expressed so many of life’s lessons easily through the cadence of the book. A feel-good book that is to be enjoyed over and over again! And, the surprise at the end of the book is sure to delight the artist and creative spirit in every child! I thought that I am too old for a picture book, so I read it with my 10 year old. We both found ourself in this tree. We are all sometimes alone, or feel alone. We need the book like this to undestrand, how precious our life is. I recommend to read this book over and over again. What a beautifully written book with a awesome story of friendship. The illustrations were spot on. I want to read more from Kami Boley. What a adorable story that teaches the value of friendship and the circle of life. A book that will be shared with many. What a beautifully illustrated children’s book! Great since the kids love the picture more than anything! Amazingly well written and an entertaining story to say the least! Would recommend highly to anyone that is considering purchasing this book. As an adult, this book reminds me of all of God’s beautiful gifts to this world – His wondrous creations. 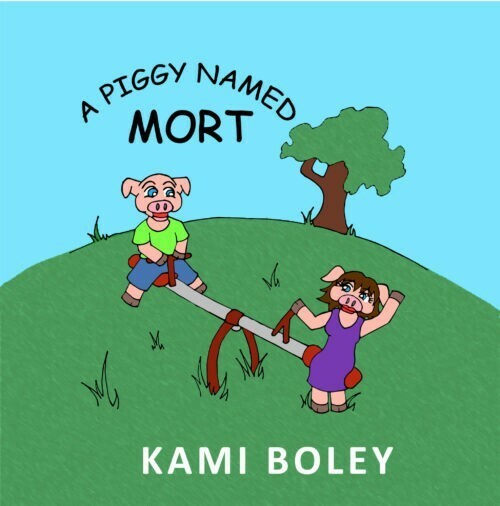 The author, Kami Boley has so eloquently captured them all to amaze and tantalize a child’s mind. The illustrations are soft and simplistic making it very easy to connect with each character. If I were three, I’d want this book read to me everyday until it achieved that worn and tattered look like all good books do. Precious book! Wonderful story about friendship! My nephew loved it and asked me to read it again. The illustrations are so colorful and make the story easy to follow. Love the coloring page for Bree at the end. Highly recommend! I really enjoyed reading Bree The Tree. It was beautifully illustrated and written. It’s an amazing story about an olive tree and how his friends came together to help this lonely tree. Wonderful ending, showed the importance of having a family. I bought it for my grandson, he loved it! The author and illustrator have an amazing gift and talent. This is a wonder book for all ages to enjoy. I’m in my 40’s and I enjoyed reading it for myself and my children. Also captures how we all need one another to grow and reproduce; everyone around us touches us in some way. A wonderful story about friendship. Can’t wait to read this to my niece! From the flow of the words to the beauty in their meaning, and its wonderful illustration, the entirety of this short passage carries a beautiful message. A true work of art and very well written. I have known Kami for 13 years. She is truly brilliant in her writing and is a true inspiration for others. This is a great children’s book to teach them about life, changes, and friendship. I highly recommend this book for a good read for you and your little one. A wonderful book written in a way that intrigues adults as well as children. The illustrations are beautiful and vividly portray the story of friendship. A story that any age can appreciate. Even my 17 yr old “child” loved it. What a wonderful book for young children (and adults!) – to teach the value of good friends and the role that empathy and support can play when promoting growth and happiness. Bree’s expressions are priceless. A great book about friendship which my children will want to read again and again. This beautifully illustrated book lends itself to so many things that you can talk about with your child – the changing seasons, feelings, friendships, etc. We love Bree the Tree! A wonderful story to explore with children. No only does the text spark conversion, but the illustrations may as well. This is such a wonderful book for children. A great way to teach them the value of teamwork and family. I loved the illustrations and vivid colors used. I can’t wait to see what’s next from this author. Great book. Enjoyed every minute of it. Great child’s book. Looking forward to many more. 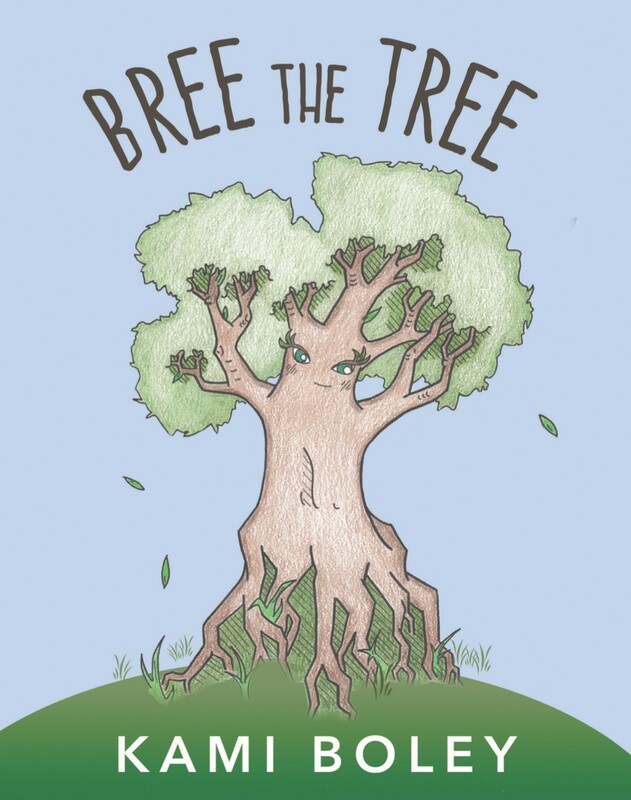 “Bree the Tree” is a delightful children’s story about a lonely olive tree. She is befriended by Chloe the cloud and Seth the sun, who become her family. With the help of Chloe and Seth, Bree no longer feels alone. This book will teach children about family, friendship, community, diversity and the life cycle of plants. Written in rhyme, young readers will find this book an engaging read! This book is a lovely children’s book that showcases the power of friendship and growing your family. Expressive illustrations and charming characters make this book a hit with children. Aww this writer has an amazing gift of identifying with the young minds to make them tickle! I read the book with my two kids and we all found it delightful! This is beautifully written with a great lesson on friendships and family love. The illustrations are so fresh and captivating, just what any kid would love. This will be a GREAT gift for any season!! Like a coloring book that has come to life! Beautifully illustrated and written book, precious story about family, perfect for children in today’s world! It brings a smile to my face to see the happiness in this story! What a delightful read! This Book will be a gift from me to some children’s groups at church. This is a beautiful children’s book. The wise story is accompanied by amazing illustrations that you rarely see these days. Definitely a great book to give or read to your little one. Very enjoyable. Lovely illustrations, and wonderful lesson to be learned by all! A sweet rhyming book for your little ones. Complete with lessons on being good friends and what makes a family. Entertaining and enjoyable. Can’t wait to share this book with my grandkids…looking forward to more stories from this talented writer. My grandchildren love this story!! I loved this children’s book. Easy to read and very appealing characters. Can’t wait to buy this book for my godchild. She will love it to. Great job! 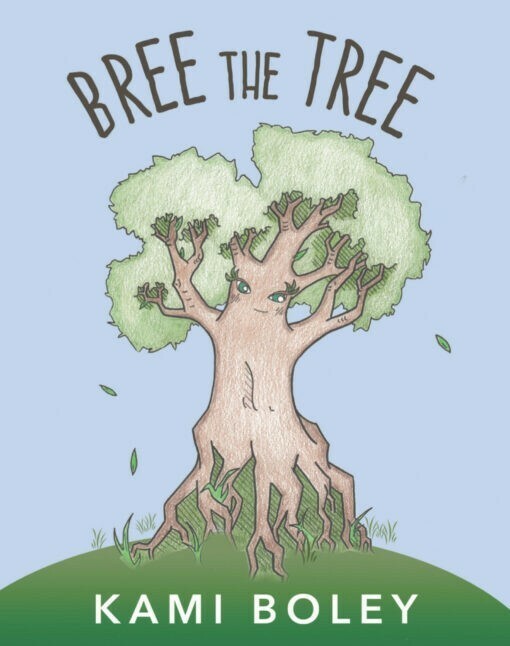 I recommend Bree the Tree for reading with your little ones learning to read. I enjoyed the illustrations as well. This was a nice little story about a tree who finds a family and is no longer alone. I just read it to my daughter. Loved the illustration. It looked like something she would have colored which made it easy for her to relate to. Loved this book!!! It was such a cute story and I loved the pictures. I think this is a wonderful children’s book. It has a good lesson in it about friends and family.. I would definetly recommend this book. Bree The Tree Wonderful book with great illustrations and rhyme. Lovely story with great message. Children will enjoy this five star book! Recommended. Bree the Tree is a winner! What a great book for children! Full of wonderful messages on life captured by bright, sharp illustrations. I plan on reading this book to my kids for years to come! Highly Recommend! Enjoyed reading this to my nephew. A beautifully written story, creative drawings- perfect for children. My 20 month old daughter loved this book! This was just the right length for my daughter and she loved the pictures. This is a sweet story with a great ending. Looking forward to seeing more from this author and illustrator! Glad I now have this book on my phone to read my daughter! Wonderful book with lovely illustrations.. The story of the tree has beautifully crafted.. Bree’s friendship with the cloud and the sun gets the children’s imagination soaring.. If you have young kids, they will love the story written in rhythmic verses and the colorful and vivid pictures.. My kids love it..
A extremely well written children’s book that is great for anytime of the day. Clearly a best seller. I love the cadence of the book. It makes you happy when you read along. Great message and the art work is adorable!